Dr. Michele Cannon is an audiologist with Premier Hearing Center in Rio Rancho, NM. She is originally from Chicago. In 2005, she graduated with honors from the University of Illinois Urbana/Champaign with her Bachelor of Science in Speech and Hearing Science with a focus on deaf education and culture. 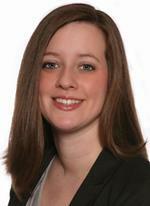 She then completed her Master’s degree in 2008 and her Doctorate in Audiology in 2009 at the University of Iowa. She has her Certificate of Clinical Competence in Audiology (CCC-A) from the American Speech Language and Hearing Association (ASHA) and is a fellow of the American Academy of Audiology. She has taken several courses in ASL and has a mild fluency in the language. Dr. Cannon specializes in diagnostic audiology, hearing aids and aural rehabilitation. She enjoys working with both pediatric and adult patients. Michele currently resides in Rio Rancho, New Mexico.